FEATURES/SPECS Even man cave owners don't want nasty rings on their good furniture! 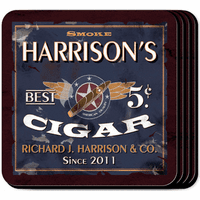 Keep all countertops in tip top shape with this personalized man cave coaster set. The set comes with four waterproof, cork bases coasters and a solid wood holder/base. 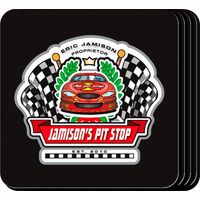 Each coaster comes with a bold, ice cold beer on a black and red background. 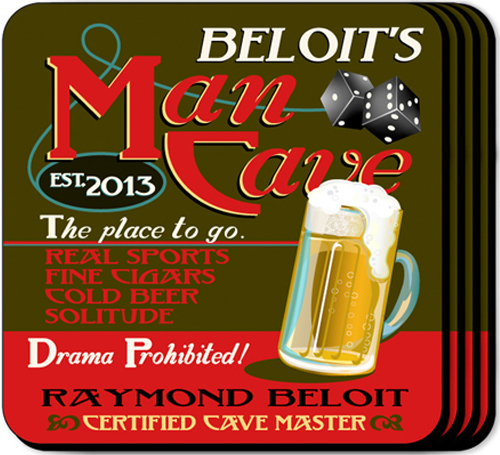 The artwork includes the quote: "The Place To Go, Real Sports, Fine Cigars, Solitude, Drama Prohibited!" 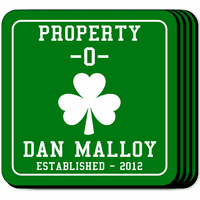 They also list the recipient of these personalized coasters as the "Cavemaster" and lists a date of establishment. 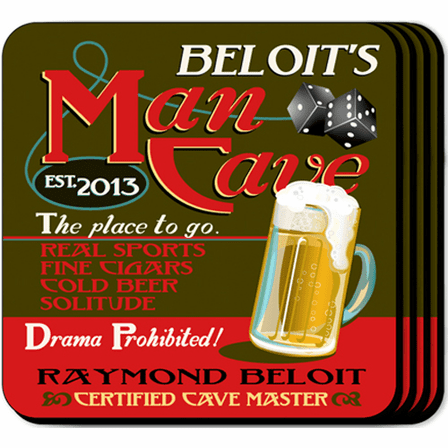 Comes printed with the words "The Place To Go, Real Sports, Fine Cigars, Solitude, Drama Prohibited!"